AUTOart has always had a bit of a love affair with Koenigsegg. Which, given how awesome the cars are that are produced by the Swedish company, is fine by us! 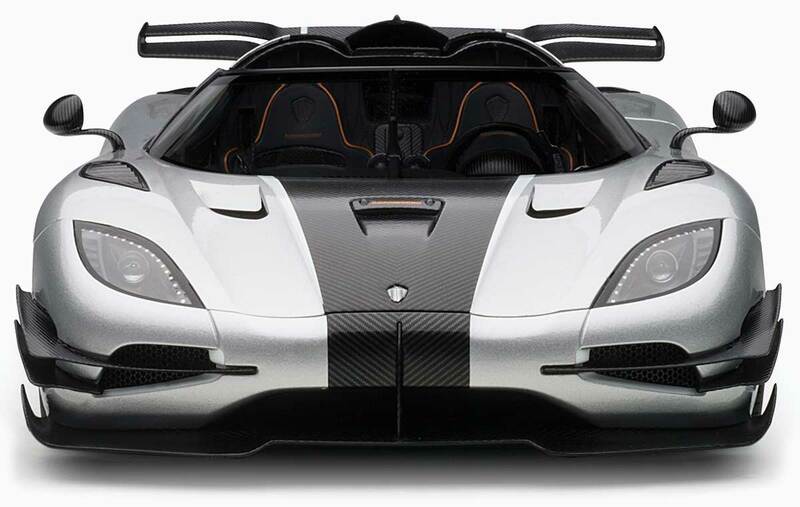 The next Koenigsegg that will receive the 1:18 treatment from AUTOart is the One:1. The One:1 was named after its amazing power to weight ratio (1,341 bhp to 1,360 kg), and presented at the 2014 Geneva Motor Show. Only six examples were produced, all of which were already sold before it was launched. The car was based on the Agera, and was fitted with a variant of the same 5.0 litre twin-turbocharged V8 engine that it used. 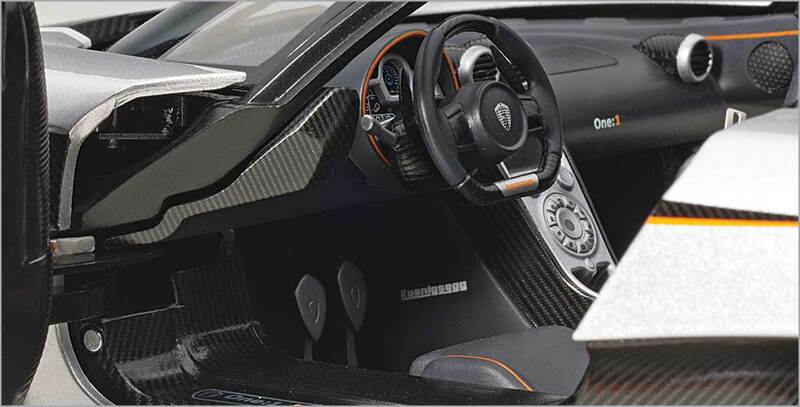 The transmission used in the One:1 was a seven speed, dual clutch paddle shift. AUTOart has really gone to town on this replica. These days it usually favours a sealed bodyshell approach, but with the One:1 there are about as many opening parts as there are on the real car itself. 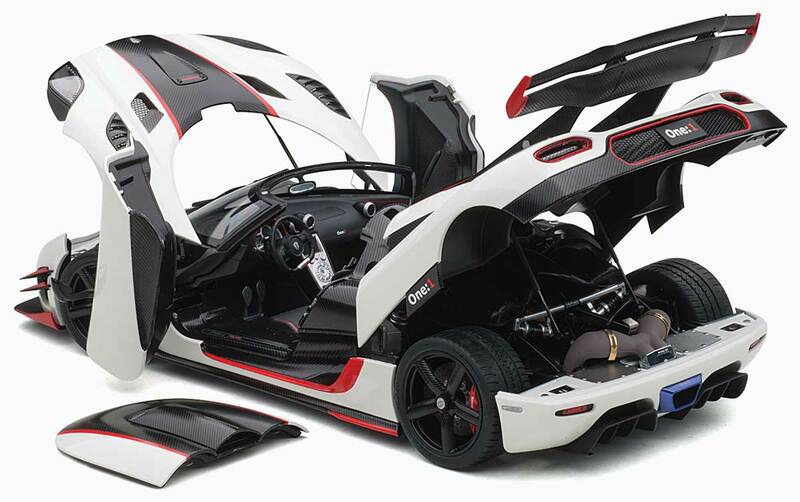 AUTOart’s models are always imported into the UK in only tiny quantities, so don’t hang around if you want to add this hyper replica of this hypercar to your collection.